Welcome to Payless Cartridge! 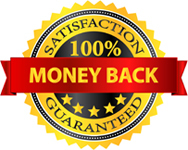 We are a one stop toner cartridge and printer repair center in Vancouver. If you have a commercial or domestic printer in place, you can always get in touch with us for the best solutions for these useful products. In business, there cannot be any interruptions. A printer is very prone to trouble especially if there is excessive strain exerted on it for a prolonged period of time. Machines are prone to wear and tear! A toner cartridge or printer is also a machine which is designed to help us print valuable personal and commercial documents. When Should I Contact a Toner Cartridge And Printer Repair Center In Vancouver? A toner cartridge and printer repair center should be contacted only when there is a serious problem with it. There are two scenarios which you can encounter. The first scenario arises when the cartridge runs out of ink. The second scenario arises when the printer itself stops working properly. In either case, you have to bring them to us so that we can put our undivided attention towards it. It will help us in solving your problem quickly and restore the device back to its original condition. What are types of services available from us? Toner Cartridge refill: You are not willing to spend a lump sum of money on the toner cartridge refill. You should always get in touch with us! We will help you in refilling the cartridge and let you use a very economic option. Complete Printer Repair: For complete printer repair solutions, kindly get in touch with us. We have the best experts with us who would repair it and save at least a few hundred dollars. At Payless Cartridge, we offer you the best solutions through regular repairs and refills which completely transform the complexion of printer usage. We are eager to help you. Just give us a call or get in touch with us through our official email. We promise to get back to you at the earliest. We just seek your cooperation to help us offer the best customer services. We have extended our services to Burnaby. If you have any queries, please revert back to us by contacting us or even call us 604-605-3224.